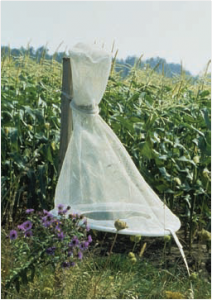 Reversal of resistance can occur in some pest populations by allowing time between applications of a class of pesticide to permit resistant populations to become diluted by pesticide-susceptible individuals. However, no one can predict if or when resistant pests will change back to a susceptible population. The best practice is to reduce the chance of resistance developing in the first place. Maintain optimum crop growth through proper fertilization, irrigation, etc.- a healthy crop is more competitive with weeds and often less susceptible to disease and insect attack. Rotate crops, particularly those with different pest problems. Scout fields regularly to respond quickly to changes in pest populations. Pest monitoring will help determine if pesticides are necessary (based on economic thresholds) and the best application timing (when pests are most susceptible), thus helping to reduce the number of applications. Application of pesticides to pest populations that are beyond the optimum timing (e.g. large weeds, late instar insect larvae or disease in the epidemic phase) can speed the development of resistance. When available and appropriate, choose selective pesticides that break down quickly (avoid persistent pesticides). Where practical, use spot treatments, barrier treatments or banded treatments to better target pest populations or the zone where pest control is required. Control alternate hosts of insects and diseases. 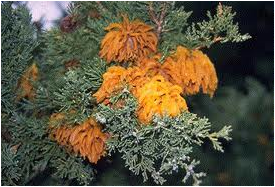 Remove junipers to suppress cedar-apple rust, for example. If pesticides must be applied to the same crop or site, rotate to a pesticide with a different mode of action (MOA). Some products with the same mode(s) of action can be applied sequentially in the same crop or to a rotational crop in the same field without development of resistance while others should not be applied sequentially unless other effective control practices are also included. Adhere to label rates for the specific pest, crop, conditions, and location. Follow label directions for proper application method (carrier type, volume, use of adjuvant, etc.) and rate. When applying the maximum label rate of a pesticide, combine as many resistance management strategies as possible because high rates enhance the selection pressure for resistance. Using rates lower than those recommended for a particular pest favors survival of the stronger individuals in the pest population. Clean tillage and harvest equipment before moving from fields infested with resistant species. Tank-mixes and Pre-packs are combinations of two or more pesticides applied as a single mixture. Tank-mixing allows for adjusting of the ratio of pesticides to fit local pest and soil conditions, while premixes are formulated by the manufacturer. The combinations are designed to improve individual pesticide application results and, if the combination is composed of pesticides with different modes of action, prevent or manage resistance. The different pesticides in the mixture must be active against the target pest so that biotypes resistant to one mode of action are controlled by a pesticide partner with a different mode of action. Theoretically, repeated use of any tank-mix or pre-pack combination may give rise to herbicide resistance, if resistance mechanisms to each herbicide in the mix arise together but the probability is very low. 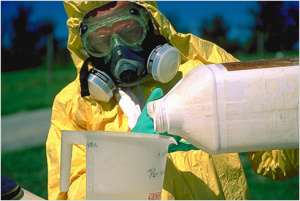 Understanding Resistance — What is pesticide resistance? 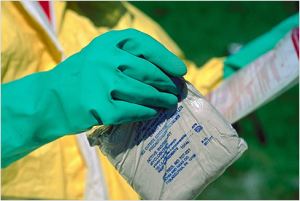 Preventing Resistance — Ways to stop the spread of resistance. Herbicide Resistance — Understanding resistance in weeds. Insecticide Resistance — Understanding resistance in insects and insect-like organisms. 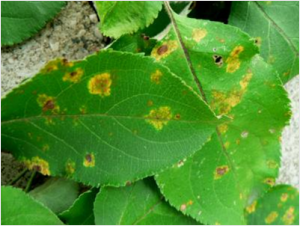 Fungicide Resistance — Understanding resistance in fungus and other plant pathogens.